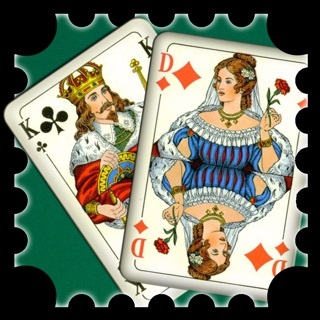 Classic Freecell Solitaire (also known as Windows Freecell) is one of the most famous patience (solitaire) card games. 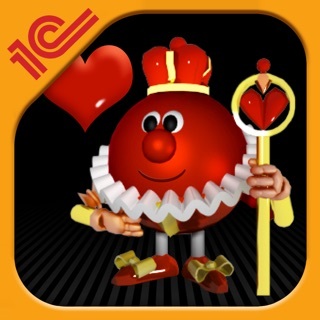 The goal of the game is to place all the cards in each suit in foundations of ascending sequence from A to K.
And we brought Freecell Solitaire to the new level! 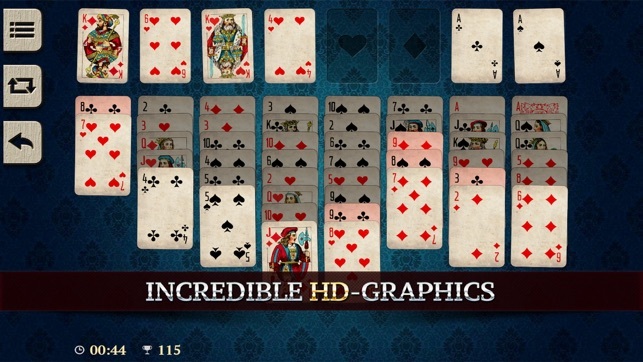 First of all it is beautiful HD-graphics, just look at these cards and backgrounds. 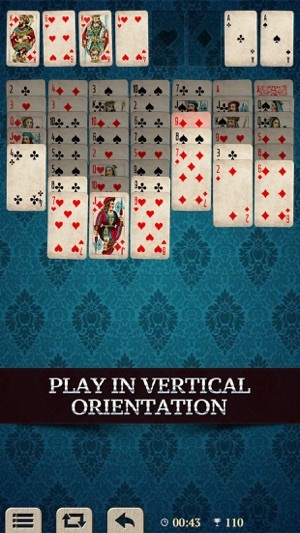 If you want complete realism just add some attrition to the cards (available in Settings menu) and it will looks like you are playing real solitaire at summer evening at home. 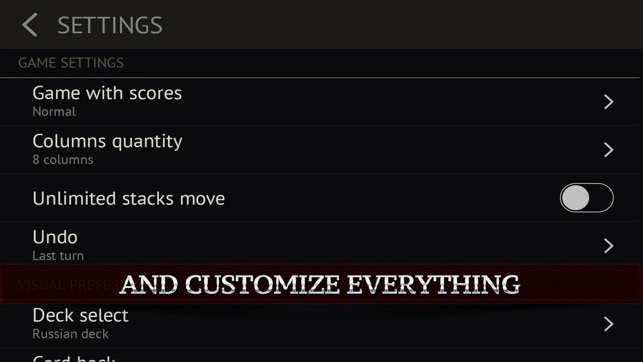 Then, customize game using Settings menu. You can change speed of animation, disable sounds, select what type of undo you would like and even turn game to left-handed mode. 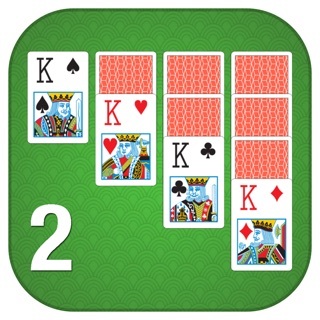 If you think basic Freecell Solitaire is too easy for you, just change difficulty and let the game challenge you! But that's not all. 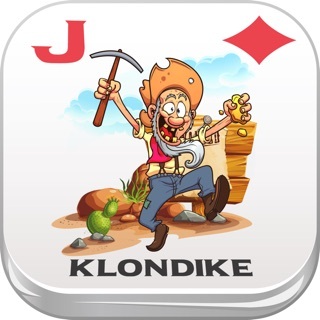 Our Freecell Solitaire has unique feature which other games not (we are sure you like it!). 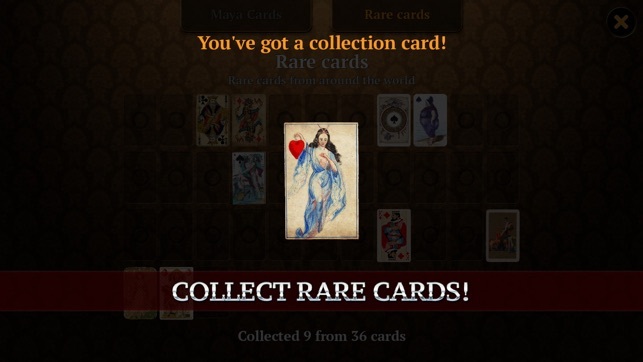 You receive special rare card every time you solve solitaire. With great pleasure we selected these cards from all corners of the Earth and want to share them with you. 36 different cards waiting for collection. 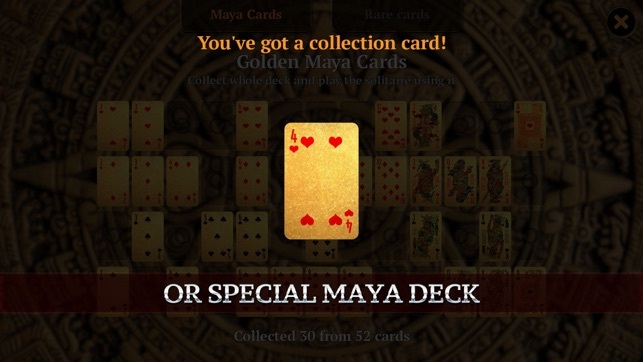 And there is cool Maya deck which can be used in game after you collect all the cards. Don't forget to compete with your friends using Game Center leaderboards. Also, if you interrupt the game our Freecell Solitaire will save the last turn and next time you start it will be automatically loaded. 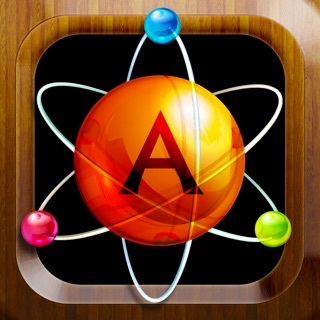 Just enjoy our game, play it on mobile phones or tablets. 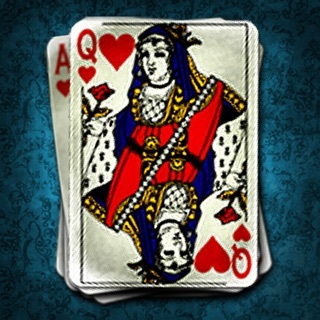 Freecell Solitaire supports all type of devices and both vertical and horizontal orientations. Hope you like it! However, it is annoying the deck does not auto-clear the board once the game is won. I hate to drag cards. Would exchange the fireworks for auto-clear.